With internal senior exams that took place last week, Tāmaki College moved the celebration of te wiki o te reo Māori to this week. To being the celebrations our Kaumatua Wally Noble launched the week with a Whakatau (welcoming) at morning Staff Debrief. This was followed by a korero from our whaine toa (strong women) from our Whare Kai (eating house) Tuitui and Genesis who shared with us their connection to the land and the people of this area. 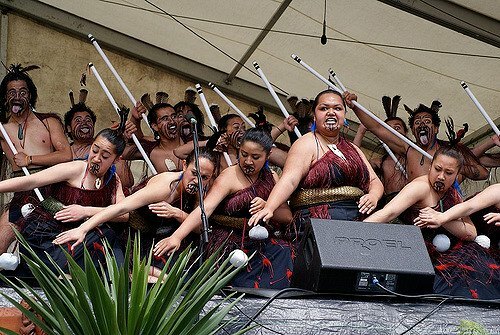 To sum up the experience some of our Junior Girls from the Te Rōpū Te Poho ō Tāmaki preformed a waiata (song). Each morning we will hear the kupu (words/phrases) for the day, shared by our tauira (students) through the schools PA system.